SCOM, EQTY, KCB, ICDC taking off. Market has been consolidating for the last three months or so. 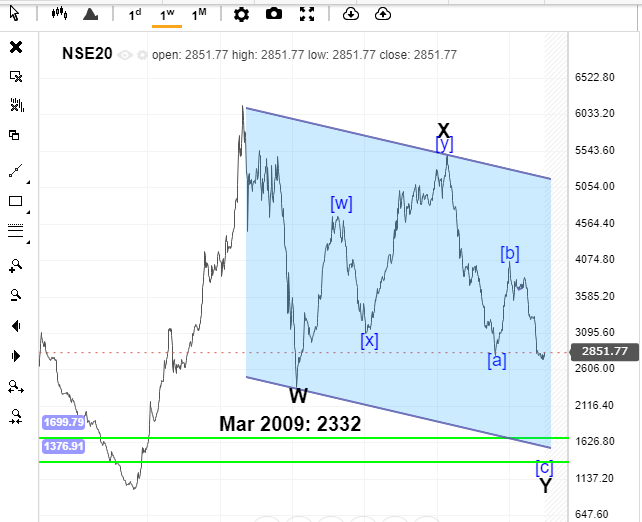 This is after erasing the whole 2017 rally and puncturing the Feb 2017 low of 2789. Generally, I don't expect 2019 to be good for EM/FMs but there are always some exceptions. The resistance at these 2700 levels has held for a while now. To the point we can start feeling a new social mood kicking in. Post Dusit attack, Kenyans are beginning to feel more resilient and foreigners are gaining more confidence with our economy. We've overtaken Ethiopia, GDP wise again. The likelihood of them catching up again is not soon. Grand corruption cases have gone down... We're now just dealing with thieves of yester-years. So, yes. A small upward spike is expected. NMG is that one sheep that keeps going back to the pen when the rest of its pals are being herded out to graze in the morning. How does it fall to an all-time low of 60 just when the bull is picking up. I think NMG is overvalued in my book. Steady declining earnings over the years, depletion of their reserves, PB of 1.43, PE of 8.7, savage cut in dividend. If the radiance of a thousand suns were to burst at once into the sky that would be like the splendour of the mighty one. So with a DPS of 5 (very drastic cut from last year), Nation Media Group still has a higher dividend yield than nearly every other company on the NSE. Akina Barclays/ABSA are at 8.7%. So yes, there will be a dividend rally. I see no bottom yet. Don't let the rally fool you. Bottom targets remain sub-2000s. Pole. The chart was for close of business on Friday 18th Jan 2019.
resistance level at 2700? projected support level at 3000? The anti-corruption commission is investigating allegations that at least Sh10 billion in workers’ contributions to the giant National Social Security Fund (NSSF) is at stake following migration to a new information management system. According to documents seen by Sunday Nation — which have been surrendered to the Ethics and Anti-Corruption Commission and the Labour ministry — the amount in question includes unpaid contributions by employers, uncollected penalties and accrued penalties between 1998 and June 2013. Expect to read about more scandals like these. It is sad, but if you depend on your pension to cater for you in your old age, the you better think again. Pension firms invest in stocks, real estate and other financial assets. With a bear market in all these assets expect them to bleed badly. The government ones are also a cash-cow for the politicians. 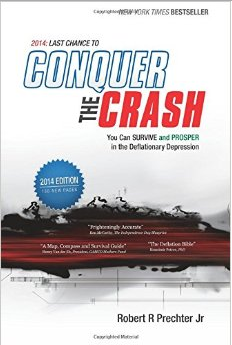 Read 'Conquer the Crash' which you should have read yesterday. The sunset years of millions of employees is at risk following investment blunder by the very agency meant to safeguard and grow their nest eggs. Flagged by the Auditor-General Edward Ouko in his annual general reports, the National Social Security Fund (NSSF) has hit hard ground in projects running into billions of shillings with legal and other barriers occasioned by bad decisions. The auditor, for example, could not understand why NSSF sold land in November 2011 and only earned a tenth of the sale price without taking any action to get the rest of the money paid. The big 3,safcom,kcb and equity are charging slowly.centum too .....is the bull here? Definitely,the chart was not so accurate. My worry over password phishing due to frequent usage became real. Btw how does Wazua owners make money from the site? I count 3 advertising banners on every page.